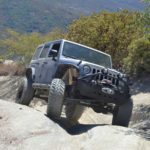 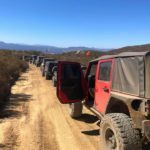 Our annual Hurkey Creek camp out isn’t so much for off-roading but more for the camaraderie of the club – but there are a couple of Jeep runs held on Saturday. 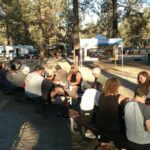 Hurkey Creek is a campground nestled up in the hills near Idylwild California – which was also recently ravaged by a wild fire caused by arson. 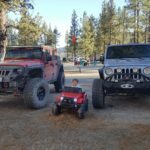 Yearly, this is the sorta un-official beginning of the Jeeping season as we meet up and camp out in the hills in September and have our monthly meeting up there as well. 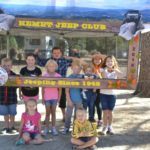 There is a raffle, games and activity for the kids, easy Jeep runs for those that wish to attend and just old fashioned camping and nature to enjoy. 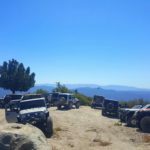 This year was no different with over 40 members making the trip up the hill to escape the southern California heat. 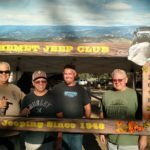 With all the Jeeping, camping, relaxing and fun, we also have a huge pot luck – this year the main entree was Mike Ledbetters infamous Tri-Tip which was accompanied by all the others members great cooking that made for one heck of a meal! 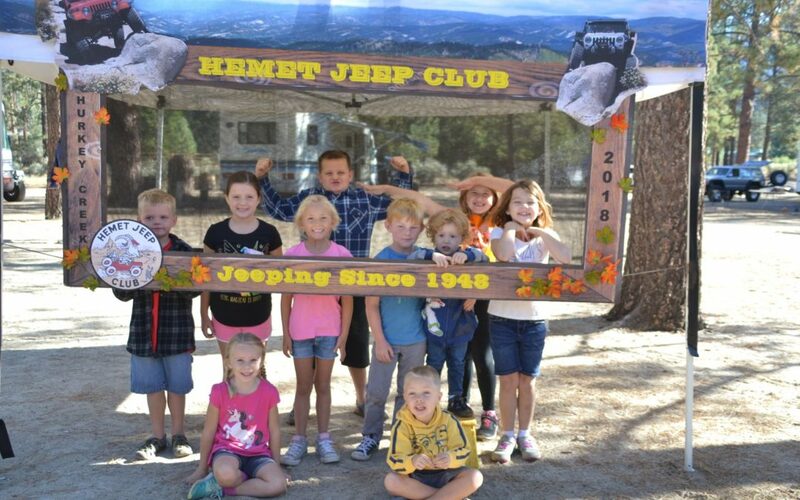 This years festivity’s were organized by Dan Wilson (far right) and his crew did a spectacular job setting up all the extras – including this selfie license plate frame.. Also pictured (L – R) are Mark Devore, Angel Cajallea, Matt DeVore and Dan Wilson.